The flowers are beginning to bloom, and the sun is starting to peek through the cold. With the warm weather and beautiful colors, it’s one of our absolute favorite times of the year to shoot. When it comes to creating spring content, you should always try to capture the essence of the theme as much as possible. We’re outlining some of our favourite spring props for you to use on your next photoshoot. Consider these props the next time you are shooting any spring still life or lifestyle photography. The ultimate spring prop, flowers are a simple, easy and cost-effective way to bring spring into any image you create. Whether you’re positioning your flowers on a still-life image, or using them as a prop in a basket or to be carried- flowers and plants are one of the most widely used props in spring photography. Consider the type of flower you use and ensure that the colors match the brief and the client expectations that you are shooting for. Dusting off your bicycle and preparing for spring jaunts around a park is one of our favorite spring pastimes. 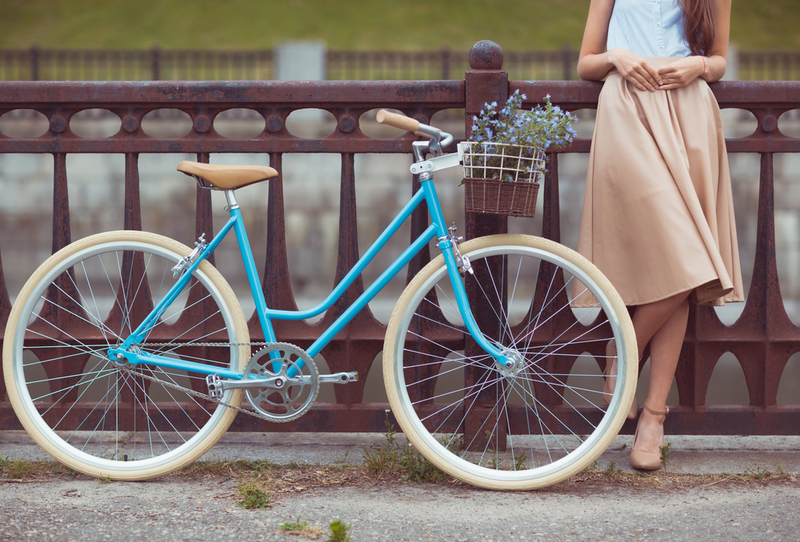 Consider using a bicycle as a prop for your next spring shoot. If you’re shooting a lifestyle photoshoot, follow your model through a park or beautiful scenery to capture the essence of spring. If your shooting product photography, use the bicycles basket (if they have one) to showcase the product. Picnic baskets, grocery baskets, bike baskets- the list goes on. A basket is a great tool to use in any spring photography. You can lay the basket flat when creating a flatlay to add some spring to your imagery, or have the basket carry other props on a lifestyle shoot. For other lifestyle spring tips, click this article. We love wicker, and you can find wicker all year at most home stores. Wicker is a great way to bring spring inside if you’re shooting any interior. Consider having wicker accents throughout the house as a discrete way to bring spring vibes into your imagery. For more tips on preparing your interior, click here. Straw hats, cute dresses, and striped tops- spring is on it’s way. Straw hats are a great tool for you to bring when you are shooting models, they photograph well and can add a sense of adventure to your imagery. As long as the hats align with the brief guidelines, you should be able to create stunning imagery that will impress your client's. For shooting food photography, consider sprinkling brightly colored ingredients around the frame. This is a great way to casually bring color into your spring photoshoots. For more tips on styling food, check out this article. We hope these tips help spring some ideas (pun intended) for your next photoshoot. Have any other tips you’d like to share? Comment them below.